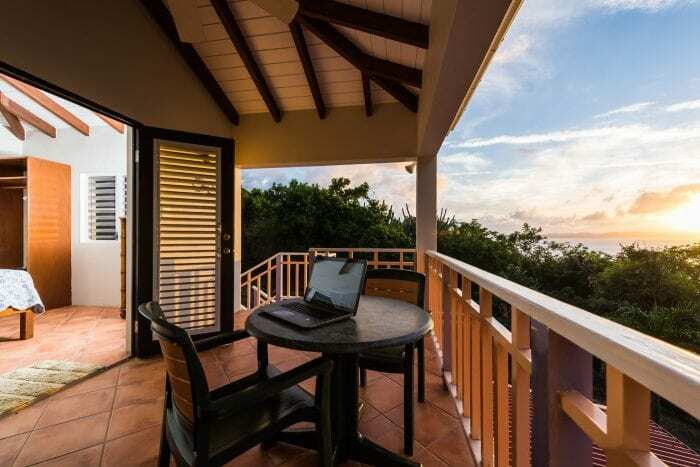 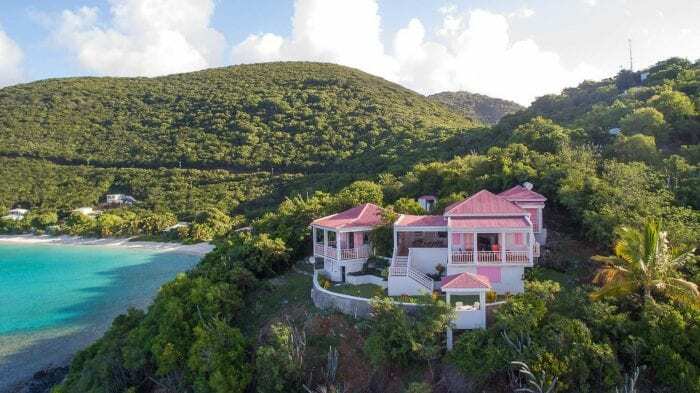 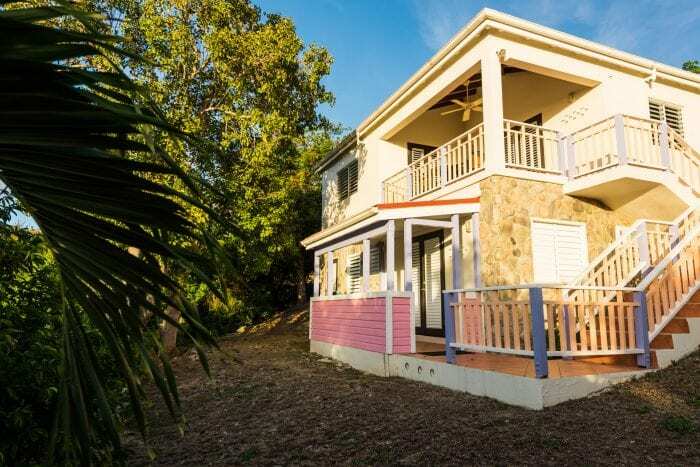 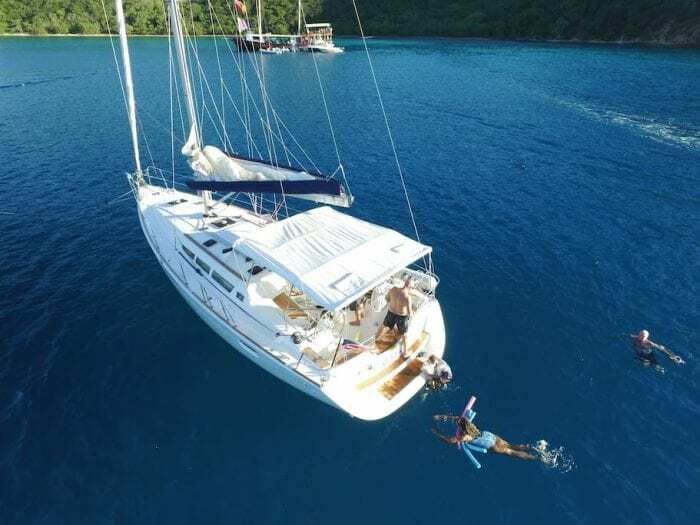 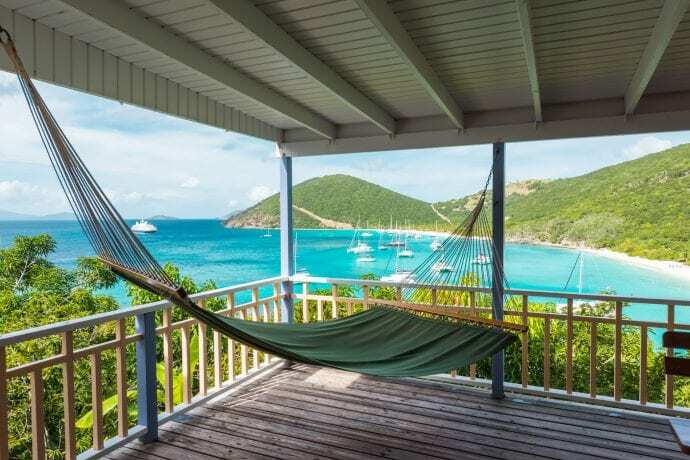 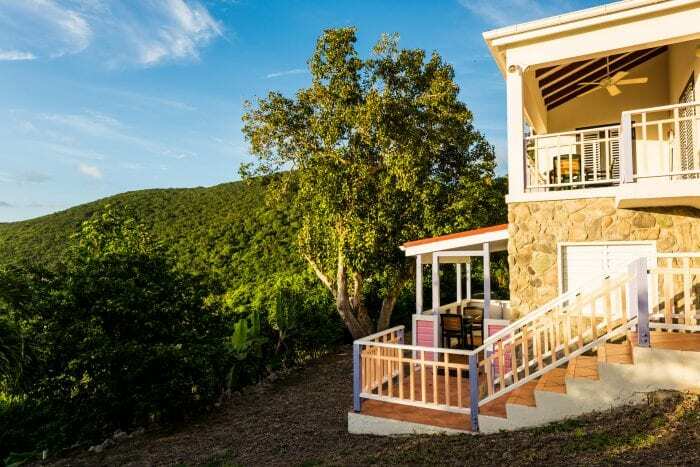 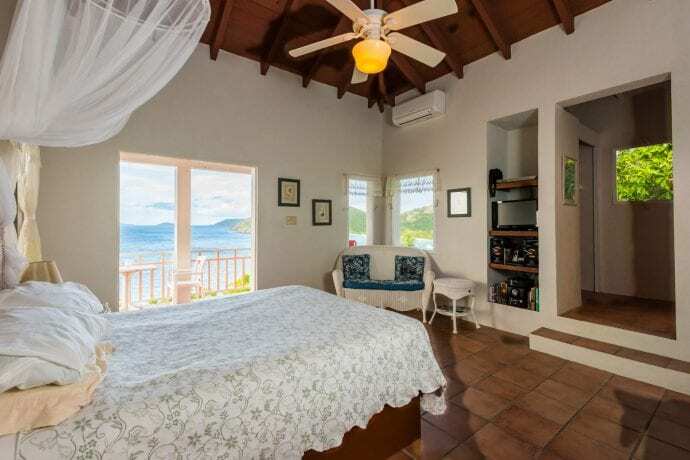 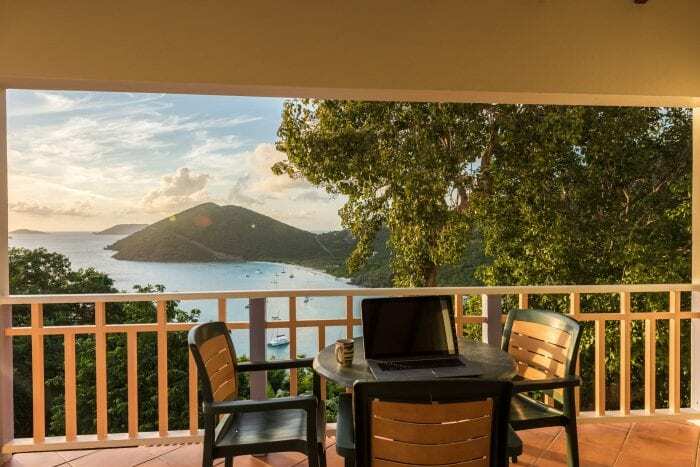 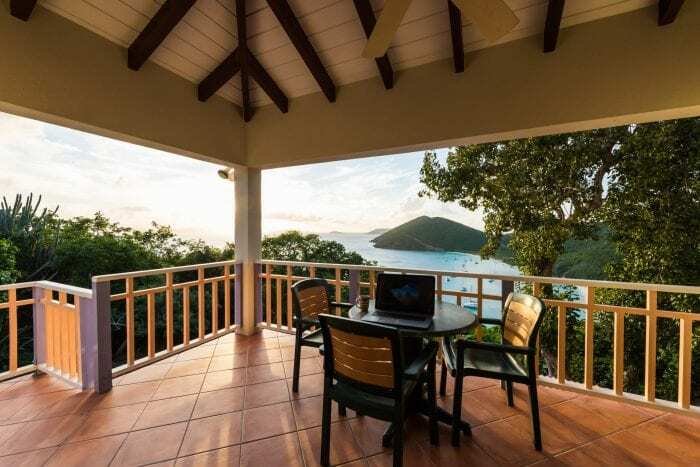 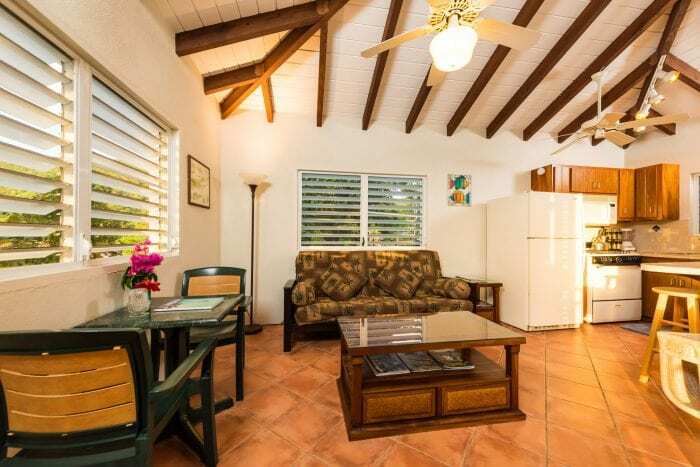 White Bay Villas enjoys the fortuitous benefit of being on a steep west facing hillside, which affords magnificent views of White Bay, Saint Thomas, Saint John and, not the least of all, glorious sunsets over the ocean! 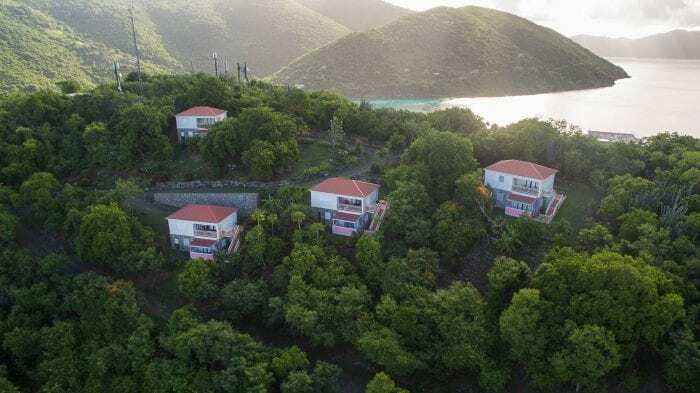 Our four identical Hillside Villas are situated, all with slightly different attitudes and elevations for perfect privacy, to maximize the panoramic views of the entire region. 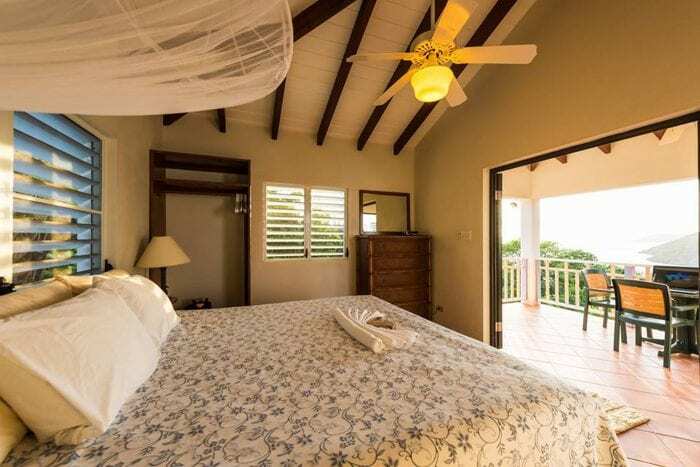 Each spacious Villa boasts: One enters via a large, 10’ X 12’ patio, with ceiling fan, café table and double hammock. 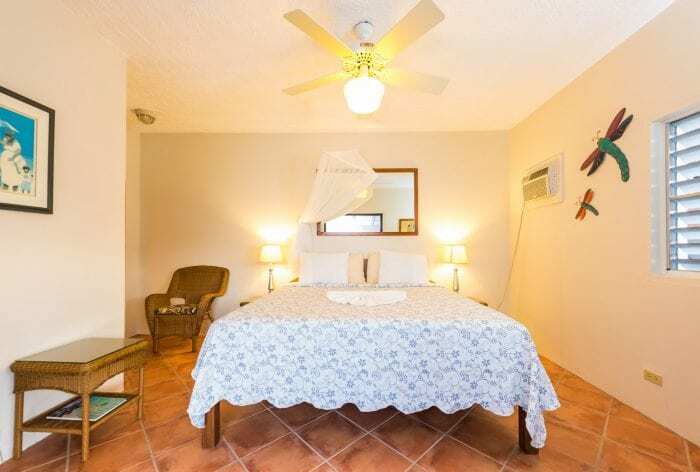 Directly on the right is the Master bedroom, with King bed, newly upgraded and upsized air conditioner, ceiling fan, and master bath with large vanity, ceiling fan, and open shower stall. 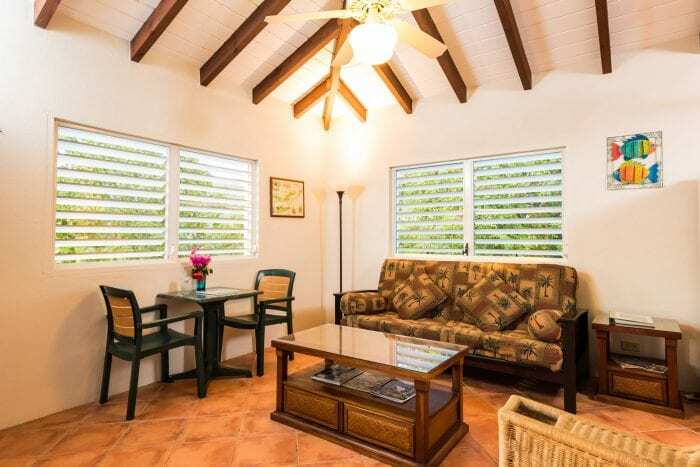 The living/dining room features a large TV, cable, very high speed internet, stereo, ceiling fan, custom built-in café table, and pull-out couch. 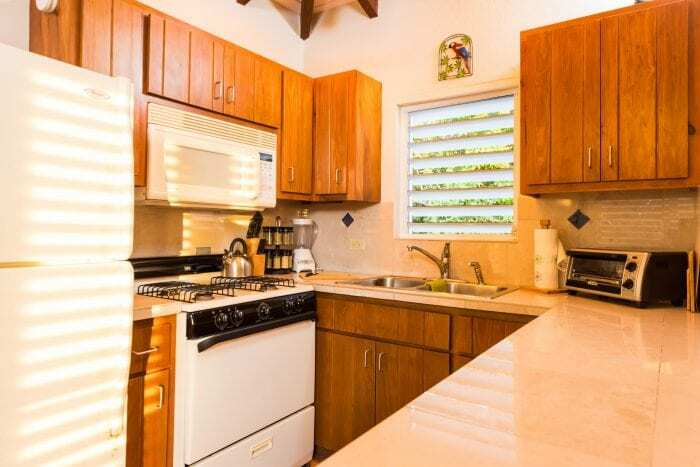 The kitchen is fully equipped with gas stove/oven, full-size fridge/freezer, fine cutlery, cutting boards, spice rack, coffee maker, French press, all flatware and dishes, microwave, and ceiling fan. 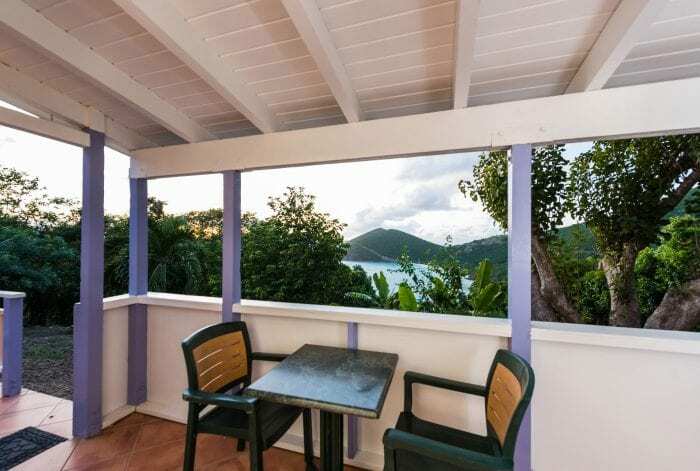 There is a large BBQ located outside. 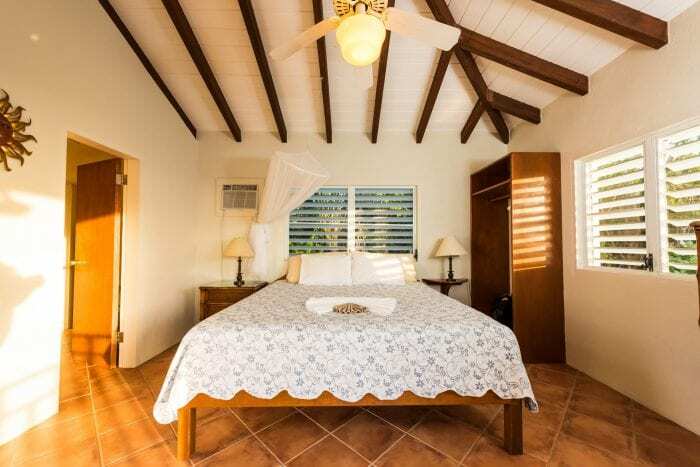 Downstairs, one finds the second bedroom, with king bed, a/c, ceiling fan, and private patio. 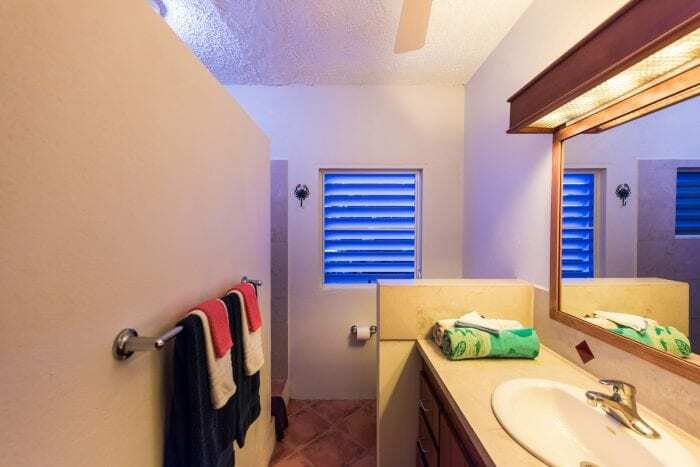 Through the bedroom is the second bathroom with large vanity, oversized shower stall, and ceiling fan. 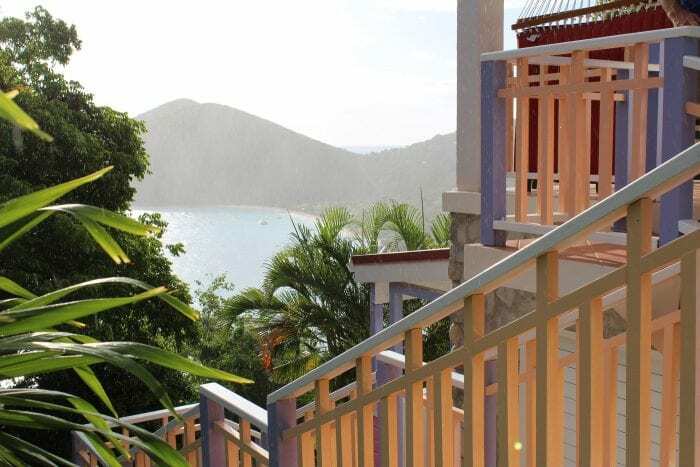 Each of the Hillside villas are similar, yet unique, with tropical fruits and flowers abounding.